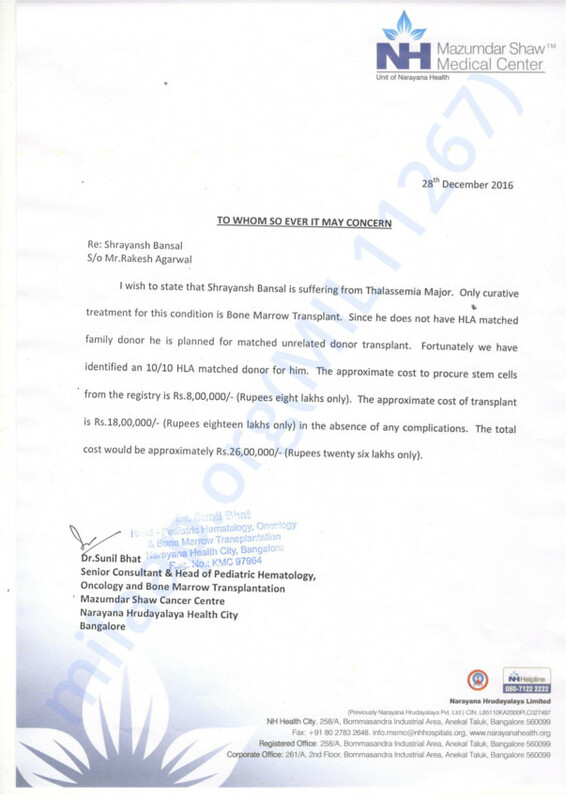 4-year-old Shrayansh has Thalassemia major. He needs a BMT to save his life. When Shrayansh was a 5-month baby he was taken for a general check-up in Balangir, Odisha for his fever. The doctor wrote him five blood tests suspecting a deficiency. They could not locate a vein in his hands or legs ended up just piercing the 5-month old Shrayansh. Rakesh Bansal- Sharayansh’s father could not bear to see this and took him to a hospital in Vizag in the middle of that very same night. The doctor there after a couple of tests diagnosed him to have Thalassemia major. His blood count was 6 then. Mr.Rakesh was suggested to go to CMC, Vellore after that but was told to wait for Shrayansh to grow up to have a BMT performed. In 2014 Shrayansh was admitted to Narayana Hrudayalaya and is on continuous treatments ever since. With all their hope Rakesh and Siddhi Agarwal have been trying to look after the Shrayansh with utmost care. He has been on medicines and blood transfusions ever since. Luckily Shrayansh has found a 100% identical match as a donor. 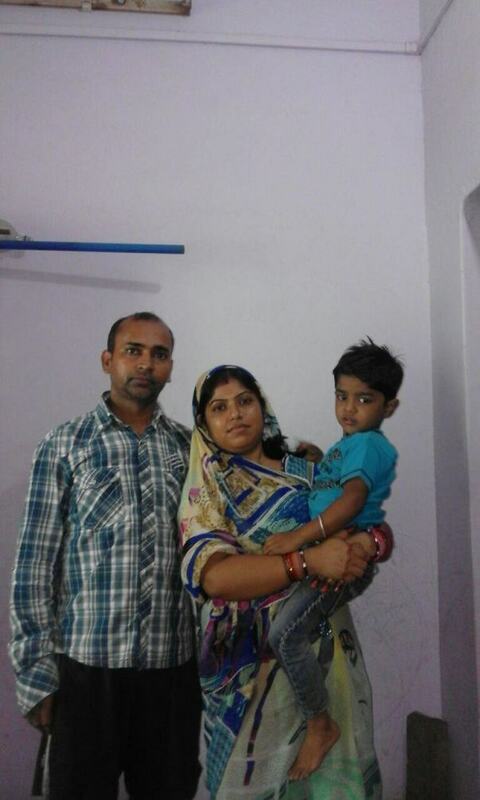 Rakesh works at a Petrol pump and Siddhi is a stay at home mother. Rakesh has applied for state and central government funding but all have been pending for a long time. 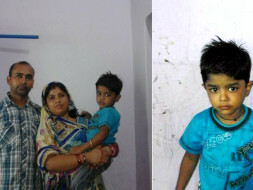 Please support Shrayansh so that Rakesh and Siddhi can see their only child live. Thank you for the love and support you have shown towards Shrayansh. Currently, he is at home and is undergoing complications due to blood transfusions he undergoes every 20 days. He is facing headache and there is constant pain in his legs due to weakness. We have found a potential donor for the transplant, we will visit the hospital after one month so that doctor can schedule the transplant. Please pray for my child's health and speedy recovery. Keep sharing this campaign so that we can go ahead with the transplant. Here is an update on Shrayansh's health. Shrayansh is at present taking treatment to control the Haemoglobin level in his blood. The family travelled to Bangalore to check with the doctors on the future course of action. After conducting a few tests the doctors suggested that the transplant could be undertaken by the end of this month. They could not go ahead with the treatment as sufficient funds could not be collected. Chemotherapy will start after he has been admitted to the hospital as a pre operative treatment for the transplant. As per the latest reports, the haemoglobin in his body has increased and the doctors are administering treatment to control the same. Transfusions happen only when required. Please do share this campaign with your friends and family. 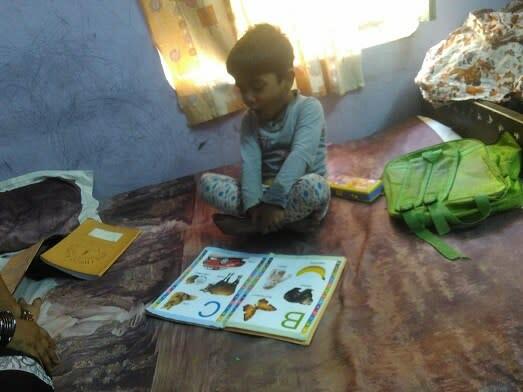 Help Shrayansh go out and enjoy his childhood like you did. Thank you for all the love and support. I am Debotri, a fellow at Milaap. 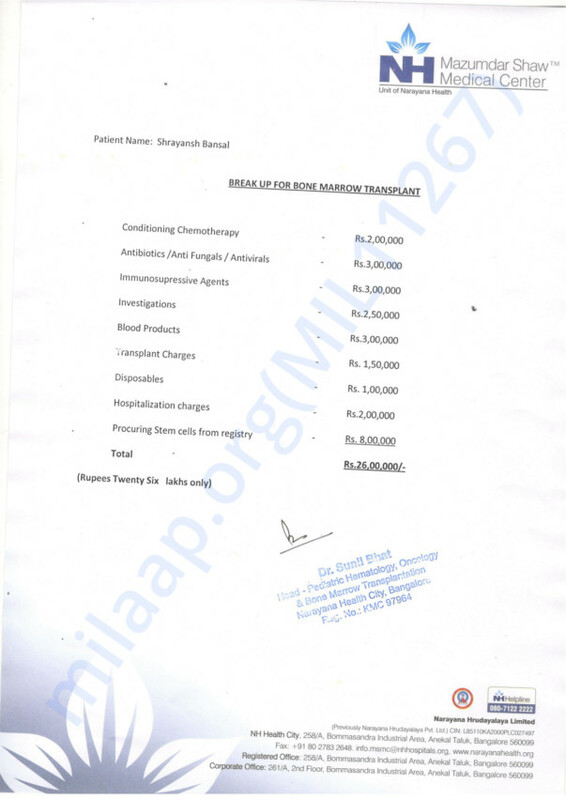 Here is an update on Shrayansh's treatment. I spoke to his mother, Siddhi. "We went for a check in the last week of May. The doctor has now finalized the BMT date. The family will be coming to Bangalore in June, since his BMT procedure is about to begin from the second week of July. We have not even reached half of the target amount. We are helpless", said the mother, crying. Please share his story, support and contribute. Thank you once again. We will keep you posted on his progress.